Can You Die From a Hydromorphone Overdose? Can You Overdose on Hydromorphone? Hydromorphone (Dilaudid, Exalgo) is prescribed to help people who need relief from moderate to severe pain. An overdose on hydromorphone can be the result of taking more than the intended dose, using the drug more frequently than prescribed, or attempting to cause self-harm. How to recognize an overdose. Recovery programs for overdose and addiction. Who Answers? to find treatment programs for hydromorphone addiction or addiction to other drugs. Even when used as directed, hydromorphone can cause side effects. At high doses, these effects are intensified. Breathing difficulties or cessation of breathing.
. Call 911 right away. Obtaining immediate treatment can mean the difference between life and death or the development of serious medical consequences. Stay with the person until help arrives. If the person is no longer breathing or has become unconscious, perform CPR if you are trained. The person’s age and weight. The dose and when he or she last took the drug. Whether the person took any other drugs – including alcohol or street drugs. Whether he or she has a medical condition. Providing this information to the EMTs can help them assess the situation and provide the best care possible. Combining hydromorphone with other medications, street drugs, or alcohol. Relapse after completion of substance abuse treatment. Co-occurring mental health issues such as depression. Who Answers? today. A rehab placement specialist is standing by to help you find the right program. Monitoring of vital signs, such as blood pressure and heart rate. Activated charcoal to help rid the body of the substance. Breathing support through the use of a breathing tube and ventilator. EKG to help monitor and assess heart function. Specific medications, such as naloxone, to reverse the effects of overdose. An overdose of hydromorphone can be fatal, especially in children. People who overdose on hydromorphone may have underlying substance abuse issues that need to be addressed to prevent future overdoses and to avoid the long-term effects of addiction. 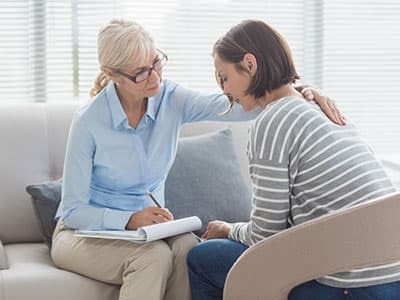 Seeking professional help from a recovery center can help address the underlying issues that led to the development of an addiction and/or overdose in the first place. Inpatient treatment. This recovery option involves a residential stay, usually between several weeks to 3 or 4 months, at an inpatient rehab facility. Treatment methods include detox, individual and group counseling, vocational training, and creative arts therapies. Outpatient treatment. Unlike inpatient treatment, people who opt for this form of treatment live at home and are often able continue their daily routines outside of designated treatment times (e.g., work, school, etc.). Outpatient rehabilitation involves attending individual and/or group counseling sessions and participation in additional treatment offerings, such as 12-step groups, several times per week, at a recovery center. 12-step groups. Often used in conjunction with other forms of treatment, 12-step groups are based on the model originally created by Alcoholics Anonymous. People attend group sessions as often as they like and work through the 12 steps of recovery with the aid of a sponsor and the fellowship of the group. Individual or group therapy. People who complete inpatient or outpatient treatment programs may benefit from the continued support of individual or group therapy. 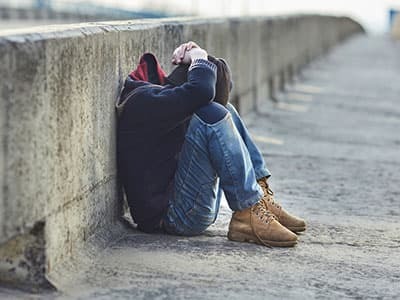 In these forms of treatment, people work with a counselor to help uncover the reasons for their addiction and to obtain support as they try to maintain clean and sober lifestyles. You don’t have to deal with addiction or recovery from a hydromorphone overdose alone. Call 1-888-319-2606 Who Answers? to speak to a treatment support specialist about the rehab options best suited for your needs.
. Mayo Clinic. (2016). Drugs and Supplements: Hydromorphone (Oral Route).
. National Library of Medicine. (2015). Hydromorphone overdose.
. National Library of Medicine. (2016). Hydromorphone.
. Fischer, B., Brissette, S., Brochu, S., Bruneau, J., el-Guebaly, N., Noël, L…Baliunas, D.(2004). Determinants of overdose incidents among illicit opioid users in 5 Canadian cities. Canadian Medical Association Journal, 171 , 235-239.
. Centers for Disease Control and Prevention. (2016). Injury Prevention & Control: Opioid Overdose: Opioid Data Analysis.
. Centers for Disease Control and Prevention. (2016). Injury Prevention & Control: Opioid Overdose: Prescription Opioid Overdose Data.